1-OWNER! ONLY 12K MILES! $9,870 IN OPTIONS! LIKE BRAND NEW ONLY 58% OFF STICKER! 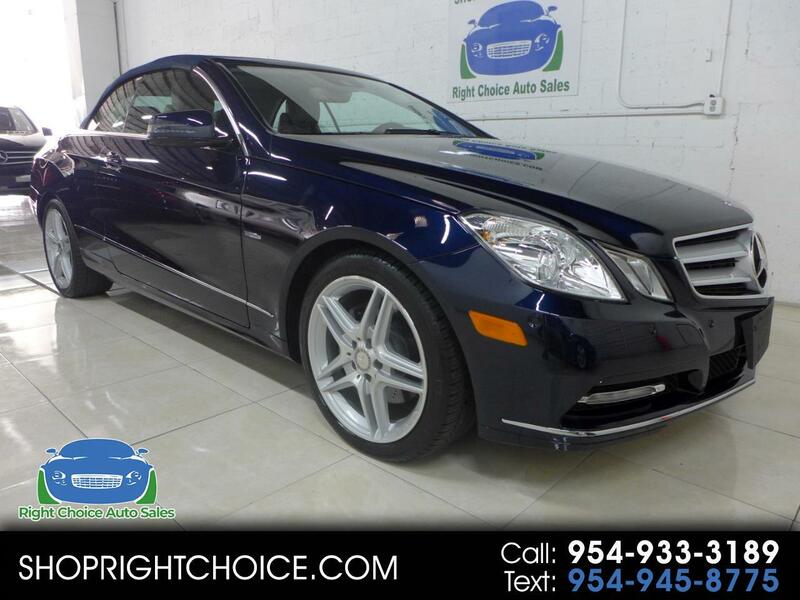 WE CAN DELIVER THIS E350 CONVERTIBLE TO ANY DRIVEWAY IN THE COUNTRY! VISIT OUR WEBSITE AT WWW.SHOPRIGHTCHOICE.COM TO SEE 95 PHOTOS, THE FREE CARFAX, AND MORE INFO ON THIS SPECTACULAR DEAL! THIS 1-OWNER BENZ ONLY HAS 12K MILES, A CLEAN CARFAX, $9,870 OF THE BEST OPTIONS, IT'S A FLORIDA CAR, AND IT'S PRICED 58% OFF THE STICKER! ONLY 12K MILES! DON'T MISS THIS ONE.